Pacific Jig Grinding, Inc. is celebrating its 15th anniversary this year. The company was established in Redmond, Washington in 1991 and subsequently moved to Southern California in 1999. We are centrally located in Irvine in North Orange County. The owner, John Parker, brings over 30 years of jig grinding experience to the company and he and his employees are committed to providing accurate, high quality, affordable jig grinding that is critical to our customers’ success. We also work closely with customers during their design phase to help save both time and money. 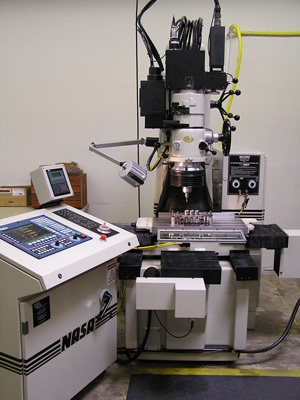 Our customer base includes both large and small companies from around the country in industries such as aerospace, mold making, tool and die, medical, gage manufacturing, to name just a few. Many years of precision grinding expertise makes Pacific Jig Grinding the complete solution to all your precision grinding needs.